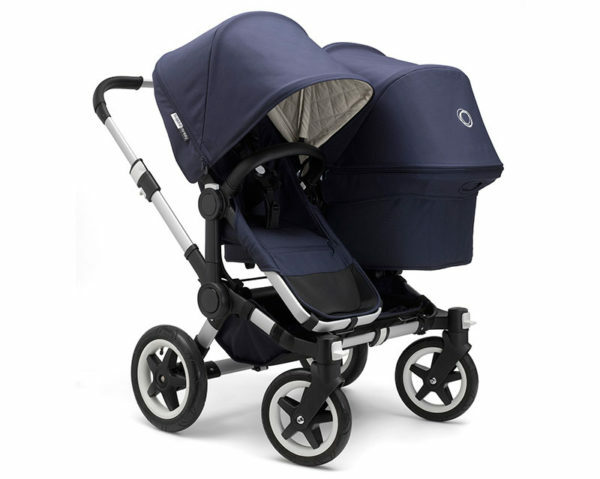 Bugaboo Classic+ Collection embraces the multi-purpose Bugaboo Donkey stroller! Everyone loves a classic, right? Basking in the successful glory of the Classic+ Collection, Bugaboo is set to excite their fans once again with the ever handy, multi-purpose, twin toting Bugaboo Donkey joining the Classic+ Collection ranks in timeless, elegant Classic+ Navy Blue. 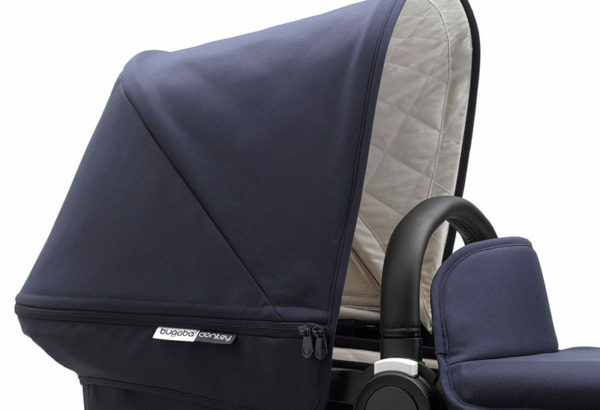 Inspired by the original 2001 Bugaboo Frog design, the Bugaboo Donkey Classic+ Navy Blue features a luxe off-white quilted interior lining. A shining star in the Bugaboo lineup, the Bugaboo Donkey Classic+ Navy Blue is the ultimate multi-purpose stroller, designed to grow with your family. 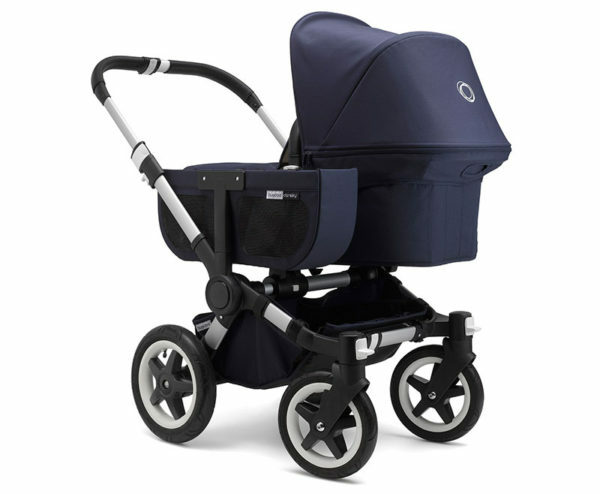 The stroller comes complete with an extendable navy blue sun canopy, bassinet and seat fabric. The coordinating side luggage basket, stylish aluminum chassis and hand stitched black leather-look handles complete the classic look – making sure you’re getting out and about in exquisite, timeless style. As always, Bugaboo continues to make it easy to kit out your ride with coordinating accessories including Bugaboo Footmuff, Bugaboo Seat Liner and Bugaboo Parasol, all available in matching navy blue. 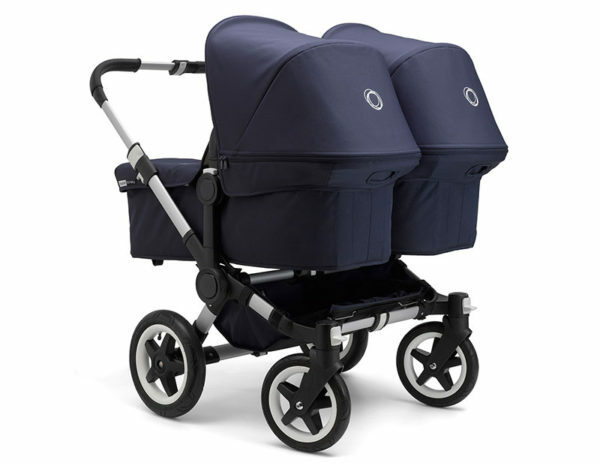 Arriving in stores in July, the Bugaboo Donkey Classic+ Mono Navy Blue is priced $1999, Duo Extension Set, $520 and the Twin Extension Set, $220. If you want to be one of the first to stroll the streets to push this gem, you can place your pre-order with Baby Bunting.